No matter how big or small your practice is or how much medical waste you generate, you need a written policy for everyone on your staff to understand and adhere to. Your office policy should outline steps to take to separate and dispose of waste. This is important not just to protect them from accidental exposure to pathogens, but also to ensure that you are covered if you are ever mandated to undergo a regulatory audit. Of particular concern to dental practices is the management of heavy metals including mercury and silver. Disposal of these materials is regulated by state and federal agencies, including the EPA. As a dentist or manager of a dental facility, it’s imperative that you follow these guidelines when dealing with or disposing of any metals that come from the removal or a tooth or any dental procedure. When it comes to teeth, many states classify them as pathological waste—it’s important for you to know how your state categorizes teeth and how to manage the waste if it is pathological. Teeth that are removed must be placed in a red bag or a sharps container unless they contain amalgam. 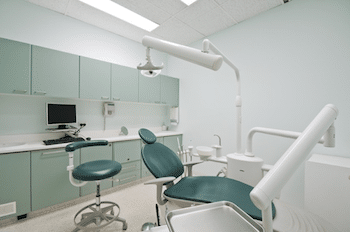 Dental offices typically generate several categories of medical waste including blood items, potentially infectious items like gauze and other materials that are soaked with or have caked on blood or saliva, extracted teeth and other items that are removed from the mouth, sharps and other instruments used during procedures and gloves, masks and other protective gear. Every dental office should be aware of and implement the above four tips in order to ensure compliance with local and national regulations. Remember to provide regular training to all of your staff on how to manage medical waste and to enforce your office policies to prevent injury or illness due to improper handling. For all your medical waste needs, turn to us at All Points Medical Waste. We provide full-service medical waste disposal to our clients across the Treasure Coast and in Okeechobee, St. Lucie, Palm Beach, and Broward Counties. Give us a call today or fill out a quote request to learn more. ← Extracted medical implants: Are they medical waste?